Green-pinkish magnetic list pad. You definitely got this! 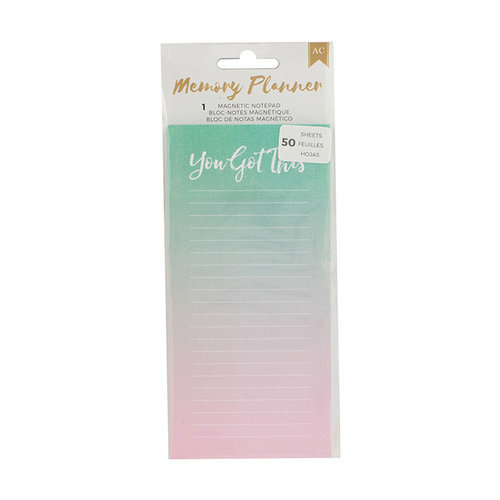 Easily jot down notes and reminders on the Magnetic List Pad from the Memory Planner Collection by American Crafts. Included in the package is one notepad that has 50 lined sheets.